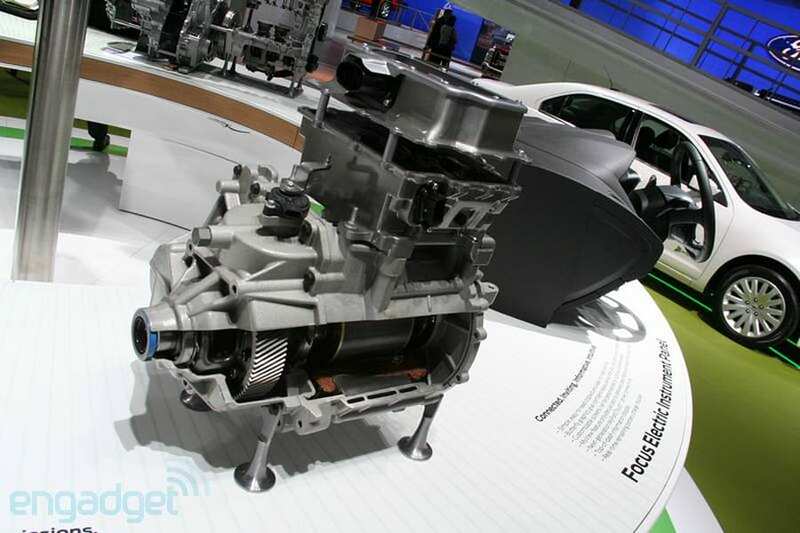 A discussion on the My Ford Mobile website linked to an Engadget article with cutaway pictures of the FFE’s motor. Some things you can figure out from the pictures and the article: like the long half-shaft for one of the wheels goes through the middle of the motor. More details can also be found in this article.